I will soon be doing my taxes. I won't get much back (Thanks, Republican Party for not extending tax breaks for me! ), but still . . . I used to file my taxes over the phone. Remember that? It was replaced with E-Filing. The IRS, in its infinite wisdom, decided not to host the filing servers themselves. I guess they didn't want to be responsible for any mistakes. So they allowed several tax preparation companies to file our taxes on our behalf. AND they may charge me for it. I don't have enough deductions to make using a tax preparation company or an accountant a necessity. But it is a necessity to file my taxes. Why in the world would I pay to comply with the law? What's next? A fee to the police department for obeying the speed limit? Yes, I know there are free options on each of the sites, but they try so hard to push the "Pro" service that it makes me angry. A Denver 2nd-grader was suspended for throwing an imaginary grenade while playing "Rescue the World" on the playground. 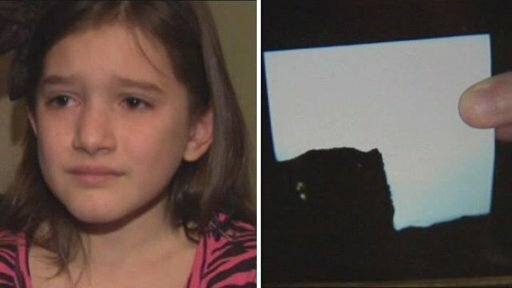 A Phildelphia 5th-grader was scolded for having a paper gun in her pocket. Her grandfather made it for her the day before and she forgot it was in her pocket. Naturally someone ratted her out when she threw it away. These teachers would have had a field day at my high school during deer season. There were always guns in gun racks in pickups. And not once, literally, not once did anyone pull one of the guns out of their vehicle while at school. Since Sandy Hook, I've been thinking about gun control and gun violence. After Adam Lanza took his mother's guns (I'm still unsure if the weapons were legal. Please post in the comments if you know. )(which is a crime), shot her (which is a crime), stole her car (which is a crime), drove into a gun free zone (which is a crime), broke into the school (which is a crime), shot 20 people (which is a crime) and killed himself when police arrived, we've been subjected to a barrage of gun propaganda from both sides. Wayne LaPierre, president of the National Rifle Association, told Congress that if the teachers had been armed and trained, all those kids would still be alive. On December 28, a man who had been arrested overpowered an officer inside a police station, grabbed the an officer's gun, shot three officers before being killed by police. If only there had been armed guards at the police station, no one would have been hurt. Over the weekend, Eddie Ray Routh, a 25-year-old Iraq war veteran, shot and killed Former Navy SEAL sniper Chris Kyle (author of American Sniper: The Autobiography of the Most Lethal Sniper in U.S. Military History ) at a gun range near Fort Worth. If only there had been someone trained in the use of firearms had been present. Look, these tragedies are horrific. Do we need to ban the so-called "assault weapons" and high capacity magazines? I've heard people say that we need those weapons to protect ourselves against the government. I've even said that Americans should join Mexican drug cartels just to get guns. But let's face it, if the government was concerned that I was going to become an insurgent, they'd use an Apache helicopter to take me out, just shoot a drone into my house. Even if they didn't want to spend that much money, they'd send a tank. Remember Waco? My little Bushmaster wouldn't stop any of that. I'd need an RPG. What we need to do is take care of the intersection between guns and batshit crazy.